Did you know that 53% of searchers typically visit a business within 48 hours of search? And when people are on a search engine, 92% of users click a business that appears on the first page of local results. In short, the higher your local search rankings, the more store visits you get. Naturally, with more store visits, you will see increased revenue. Local search engine optimization (LSEO) is an effective digital marketing strategy for business owners who want to sell to local customers. If you want to increase your web traffic, brand visibility, and revenue, you need to invest in SEO. 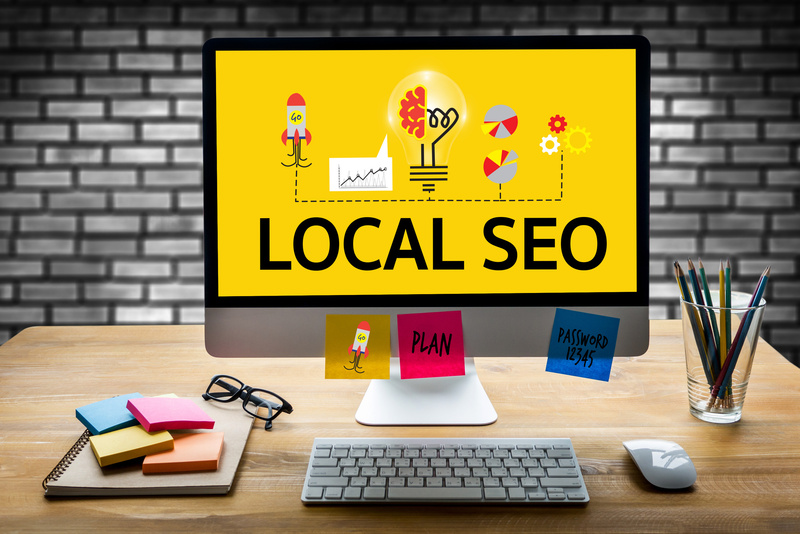 Read on to understand how to do local SEO and for tips and tricks to boost your website’s local SEO. Google uses the text on each webpage plus hidden code on a website to categorize what each website’s content is about. It is fundamental that your website uses the keywords that people are actually using in their searches. This is why keyword research is crucial for a successful SEO campaign. During keyword research, you will find and analyze phrases and terms that people are typing into search engines to find local businesses just like yours. You might be surprised to discover that the phrases you commonly use in your industry are not what people are searching for. For example, you might pepper your website with interior residential painting but people might be searching for house painters. If so, your website should use this phrase instead. For local SEO marketing, add a geo-modifier to a keyword to make it location specific. For example, “house painters Dallas”. First, ask your customers, family or friends to tell you what words they would use to find a company that offers your services. Make a list of those answers. Next, take your list and input them into this free keyword ranking tool. This tool helps you find which keywords you are already ranking for and helps you identify keywords to focus on. Select the keywords that have a minimum of 100 people searching those each month, but with medium or low competition levels. Then sprinkle those keywords into your titles (headings) and meta descriptions. Remember to make those keywords sound natural in the body of the text. The keywords should be seamlessly blended with the rest of your content. Otherwise, it stands out like a sore thumb and your clients will notice. Read how to choose the right business keywords for your site. Your title tag is one of the most important local SEO elements. Title tags are the main text that shows up in search results. This text also appears on top of your browser tab and as the title of your page when you choose to save a bookmark. Titles are important in giving website visitors an understanding of what your page is all about. It also tells search engines what your page is about. It is imperative to accurately describe your page in the title. However, you should also include the keyword you want to rank for. Make sure the title tags are all under 55 characters or it won’t display properly. Like title tags, meta descriptions provide web visitors and search engines with a short summary of your page. When you search for something in any search engine, the text directly below the title is the meta description. If you don’t choose your own meta description, Google will select it for you. Chances are that it will not be the text you would have chosen. Have you noticed that some search results have text that trails off? That is because the meta description for that page was not under 156 characters in length. Having interesting and descriptive meta descriptions will encourage users to click on your link out of all the options in their search results. Read 8 website tips that will boost your website traffic instantly. Now that you know what an important acronym SEO is, here’s another one to add to the list. N-A-P. This is short for Name, Address, and Phone Number and is crucial for local SEO marketing. If you want to show up in Google local, Google must be able to determine the location of your business. Google is able to pick up NAP information on your website as well as on other sites where you might be mentioned (such as directories, reviews etc). If the NAP data is consistent, Google will rank your website higher for local searches. In other words, the more often your business information is found on the web, and the more consistent the info is, the more visible you will be in local searches. Anchor text refers to the words that are clickable in a hyperlink. They are usually underlined and in a different color. Google uses anchor text to figure out the content of that page. For example, if you hyperlink the words “motorcycle helmets”, Google will assume that the page you’re linking to is related to helmets for your motorcycle. Though this seems obvious, there are millions and millions of websites out there that are using the wrong words for anchor text. Words such as read more here and click here are terrible anchor text choices. Google can’t possibly guess where that link is going to. Similarly, people who are accessing websites using screen readers or other assistive technology rely on clear and descriptive anchor texts to jump from section to section on sites. Take time to make sure each hyperlink on your webpage has appropriate anchor text. You should also hyperlink all the keywords on your pages to your other pages. This will help Google understand what your pages are about, and can lead to increased rankings for those keywords. If you have never visited your webpage from a mobile device, you better test it out straight away. You might not realize that 52% of your website visitors are visiting your site first from a mobile device. That’s more than half! A survey shows that 40% of users will abandon a website after 3 seconds if it is not optimized for mobile use. You can’t afford to lose customers because you have neglected this important consideration. So what makes a mobile-friendly website? Foremost, it will have a responsive web design that can adjust to fit the screen size of any device. Check out Google’s Mobile Friendly guidelines to get your website in tip-top shape. Image optimization is absolutely necessary for local SEO 2018. Search engines don’t see images like humans can. They can only process the image from the additional information website developers add to describe each image. Title Text: This text is visible when a user’s mouse hovers over an image. For local SEO marketing, you should include your geo-location and keyword. Such as Catering service in London. Alt-Text: Alt-text is short for alternative text. This text is helpful for people who are visually impaired. You should describe the picture in words to convey the meaning for someone who cannot see the picture. Again, this should include the keyword. Size: Images should be reduced to a website-friendly size before uploading. Google hates large pictures and will ding your ranking as a result. You can use a tool like Photoshop or a free web tool like Compress JPEG. Our final tip on how to do local SEO is a fun one! Start a blog. Developing content that is specific to your area is a great way to boost your local SEO efforts. All you have to do is write about your industry and make it local. Blogging as a business provides you with a way to boost your local SEO and also provides valuable content to your readers. This heightens your reputation as a service provider. We hope you found these 8 tips on how to increase your local SEO practical and doable. Remember, that improving your website takes effort and dedication. But the benefit can be remarkable. Website SEO is a free way to drive business to you, it’s worth taking advantage of! Explore our website for more SEO tools, tricks, and strategies.